Dr. Edward Y. Lee received his A.B. and M.D. from the University of Chicago and his M.P.H. from Harvard University, followed by an internship at Harvard Medical Center (BIDM / BWH / DFCI) and radiology residency at Mallincrodt Institute of Radiology / Washington University Medical Center. After completing a pediatric radiology fellowship as a chief fellow at Children?s Hospital Boston and Harvard Medical School in 2006, he joined the Departments of Radiology and Medicine, Division of Pulmonary Medicine as a clinician-researcher whose academic focus is on developing non-invasive imaging methods that will improve the clinical care of pediatric patients diagnosed with thoracic anomalies and abnormalities. Dr. Lee was appointed as the Chief of Thoracic Imaging Division in 2010 and has provided integrated image performance and interpretation across modalities for congenital and acquired pediatric thoracic disorders at Children?s Hospital Boston. Dr. Lee has more than 120 peer-reviewed journal articles, 80 review articles or book chapters, and two books related to pediatric chest imaging. 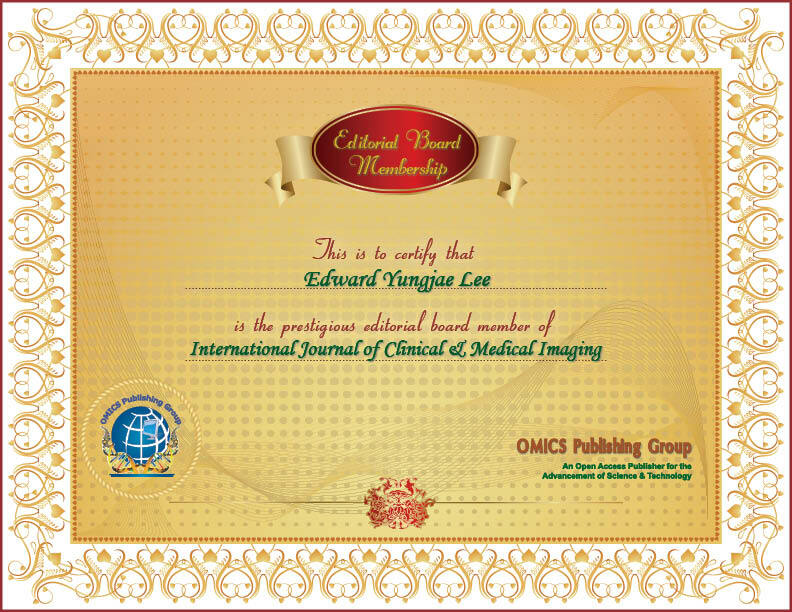 Dr. Lee has made significant improvements in advanced multidetector CT (MDCT) and magnetic resonance imaging (MRI) for the non-invasive evaluation of pediatric airways, lungs, and mediastinal vascular disorders, largely accomplished with the funding support of the Society of Pediatric Radiology and Society of Thoracic Radiology. He has served either as a visiting professor or as an invited speaker on various topics related to pediatric thoracic imaging education more than 20 different countries in the Americas, Europe, and Asia. Additionally, as an assistant editor of the pediatric section of the American Journal of Roentgenology (AJR); editorial board member of nine journals; and reviewer of 25 journals; Dr. Lee has also helped guide and establish the educational and scientific direction and growth in his academic specialty ? pediatric thoracic imaging ? at academic and medical institutions around the world.